I have the luck and priviledge of owning both a 1199 and 1299 SL as track bikes and both are incredible .. So compare the best version of the Panigale to a version no one has ridden yet, and can't possibly compete with power-to-weight ratio-wise? Sounds like a loaded question to me. Pretty pointless. Reading some of these responses, I figured I should chime in with my opinion on this whole thing. Again, it's just my opinion so take it for what it is. I have been lucky enough to own a fair amount of Ducati's, including one of the RS race bikes. I am not really someone to add the latest and newest but I think that I have a good idea when something is special. I have what I consider to be some of the best Ducati Superbikes ever made (yes, there are a couple more that I will hopefully add in time) and my 1199 Superleggera is definitely one of them. It is a very special bike and it's obvious every time I take it out for a ride. It's robust enough to useable but cutting edge enough that you can't help but understand how special it is. I don't have a crystal ball on where prices will go. However, given the laws of supply and demand, I just don't see where the Superleggera gets much cheaper than they are now (let's say $42k for a well kept 1,000 mile example). They are just way too much bike for the money. 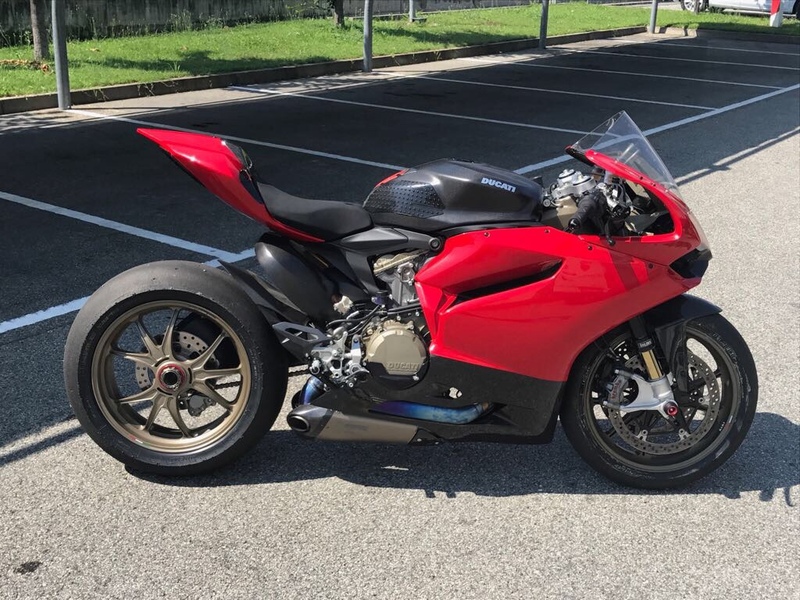 If Ducati follows Ferrari's example and puts out a limited lightweight version near the end of the product runs that combine the virtues of the street and race bikes into a raw, aggressive, lightweight street version, I don't see how they don't continue to grow in stature over time and that alone will keep prices from falling much from where they are now. Just my thoughts but for everyone who keeps saying they will buy one when they get cheap, I don't think that they will ever get cheap. You know you can buy one now. No, they're not cheap but they sure are cheaper. Besides, is it worth missing the next 5 year of riding one to save $5k or whatever less it will be? I bought mine with 62 miles on it and I paid a hell of a lot less than if I was the first owner. I'm glad I didn't wait a minute longer. Well I have news for you: it's not going to depreciate on a straight line basis to zero. It has an intrinsic value that's tied to supply and demand. They were $72k new. You can buy a 500 mile one for $45k now. That's plenty of depreciation already and a good buy. It's a fool's errand to wait for a pristine 500 mile bike to get to $10k because, in your words, "it's a depreciating asset it will come down." Desmosedicis have been out for 10 years and are hard to sell. Yet you still can't get a decent one under $45k. Let me know when you can buy a good one for $10k. I won't hold my breath. i think the 1199sl has bottomed at $40ish and i would buy one over the V4, i'm so tempted to do it but i want the new R.